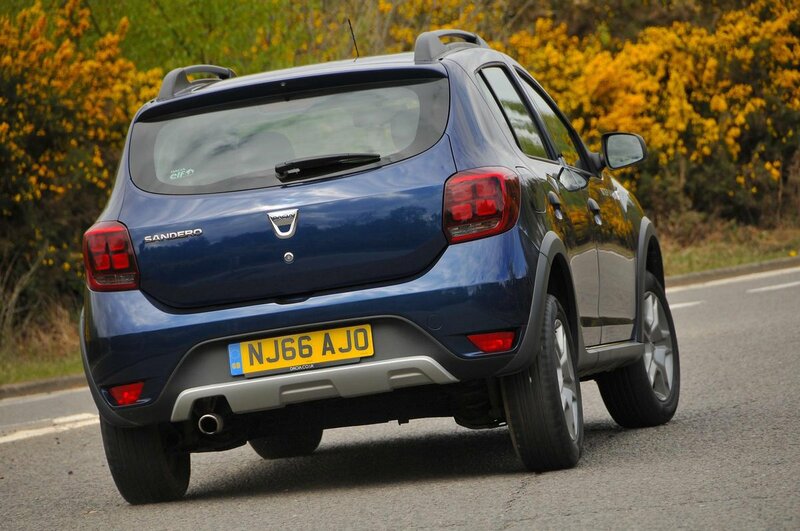 Dacia Sandero Stepway Boot Space, Size, Seats | What Car? 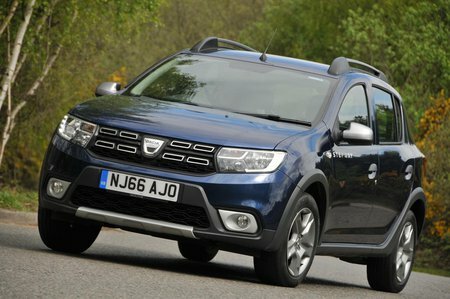 The quality of the interior may not be up to much, but where the Sandero leaves most small cars trailing is in interior space. 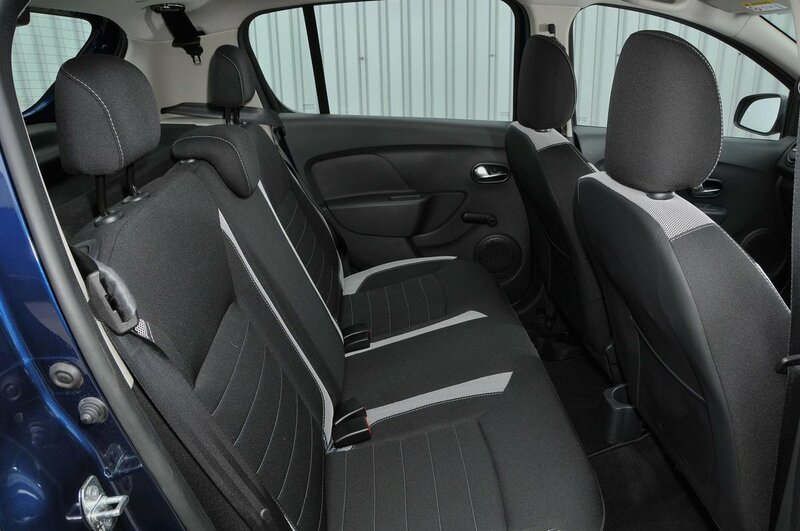 The driver and front passenger have a huge amount of leg and head room, as well as with enough shoulder room that it never feels claustrophobic. There’s a useful cubby between the front seats in front of the gearlever that is big enough to take a wallet, a set of house keys or your mobile phone. Each front door has a pocket, but not a particularly big one, so only smaller water bottles will fit. The glovebox is also a decent size, allowing you to store more than just the car’s manual. Very few other small cars provide as much space for passengers in the back. Head room is extremely generous, while leg room is very good by small car standards. Your rear occupants will certainly feel more comfortable than they would in a Ford Ka+. There’s no option to fold the front passenger seat flat to allow for longer items to fit and that seat doesn’t get height adjustment – even if you go for range-topping Lauréate trim. The boot is mightily impressive. It’s actually one of the largest in the small car class, being quite a bit bigger than a Suzuki Swift’s and a Ford Ka+’s, and only slightly smaller than a Skoda Fabia's. Although there aren’t any really clever touches, such as a variable-height boot floor, there's a couple of bag hooks and easily enough room for the weekly groceries. There is a boot lip to negotiate, but the boot opening is nice and wide so it’s fairly easy to load bulky items.